Color/Appearance: Heartwood color ranges from pinkish to a darker reddish brown. 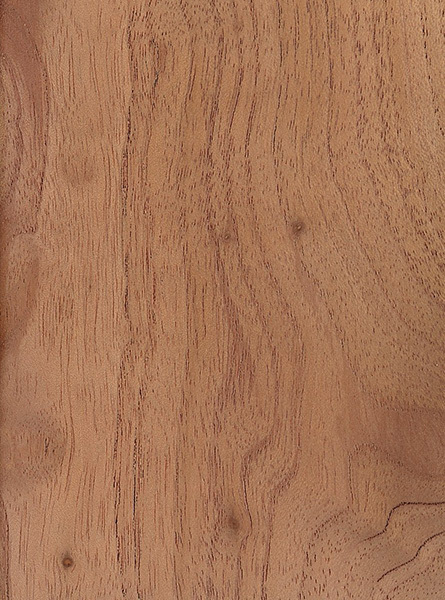 Paler sapwood is clearly demarcated from heartwood. 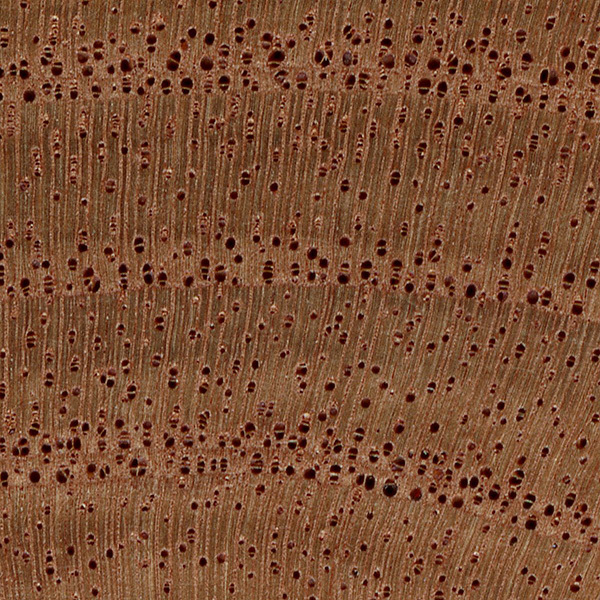 Grain/Texture: Grain is generally straight to slightly interlocked, with a coarse, uneven texture. Good natural luster. 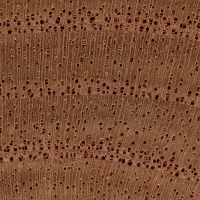 Endgrain: Semi-ring-porous; solitary and radial multiples; large to very large pores, sometimes forming single broken rows, very few; reddish-brown deposits occasionally present; parenchyma vasicentric, marginal; narrow to medium rays, spacing wide to normal. Rot Resistance: Rated as moderately durable; moderate to poor insect resistance. Workability: Easy to work with both hand and machine tools. 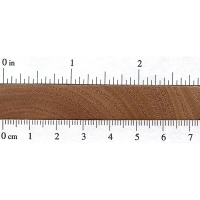 Some difficulty can be encountered when surfacing quartersawn surfaces with interlocked grain. Can also exude resin and gum up cutters. Glues and finishes well. Odor: Distinct, lingering, cedar-like scent when being worked. Allergies/Toxicity: Although severe reactions are quite uncommon, Australian Red Cedar has been reported to cause skin and respiratory irritation, as well as other effects, such as asthma-like symptoms, migraine, giddiness, bronchitis, and stomach cramps. See the articles Wood Allergies and Toxicity and Wood Dust Safety for more information. Pricing/Availability: Seldom exported, Australian Red Cedar is sometimes available as lumber, or as musical instrument tops. 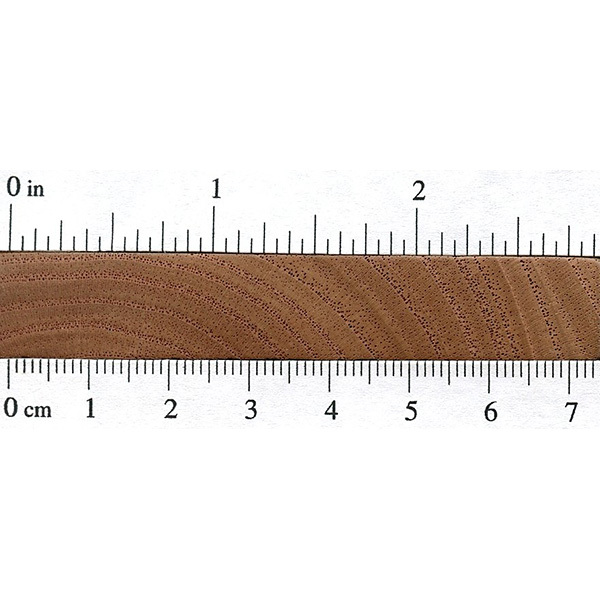 Prices are likely to be moderate for an imported hardwood. Common Uses: Furniture, cabinetry, veneer, musical instruments (guitar tops), and boatbuilding. Comments: Formerly placed in the Cedrela genus, Australian Red Cedar bears many similarities with Spanish Cedar (Cedrela odorata). 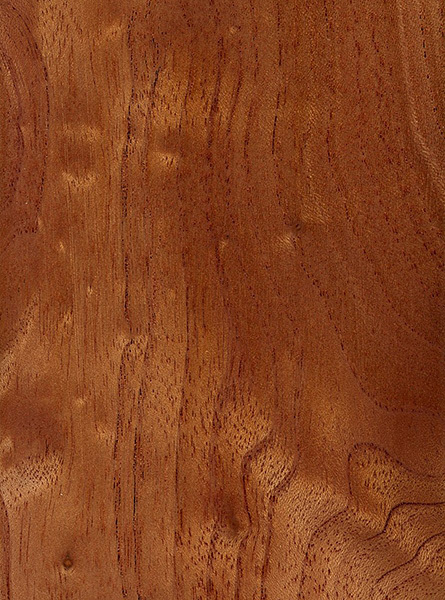 Both species are in the Mahogany family (Meliaceae), and Australian Red Cedar is sometimes referred to as Indian Mahogany.